Downing has secured planning permission from Lambeth Council for a landmark 37-storey student building and six-storey commercial office development in Vauxhall. The development on Miles Street off South Lambeth Road will create 841 student beds and will offer a range of high-quality, comfortable studios and en-suites with a choice of either five, six or seven-bedroom cluster units. The scheme will also include a 201sq m ground floor café and reception area. A second building will feature 3,583 sq m open-plan, commercial office space with a multi-use games area on the roof. The main entrance is positioned inside a central courtyard within the site that can be used as outdoor space for tenants. The development will feature a significant public sports facility that can be used by both students and wider community. Designed by award-winning architects tp bennett, the development will enhance the local area by replacing outdated office buildings with attractive, high-quality, sustainable facilities. The scheme is in close proximity to some of the capital’s leading education providers, including University College London, King’s College London, University of Westminster and the Royal College of Art. The Vauxhall rail, bus and underground interchange is approximately 330m from the site. The accommodation will be offered at different price points to enable entry to a wider range of students. Ian Harrison, development and acquisition manager at Downing, said: “We’re very pleased to have secured planning permission for this outstanding development. The scheme has been carefully considered and designed to sit harmoniously within the existing Vauxhall landscape, providing outstanding student accommodation alongside contemporary, open-plan office space that will reinvigorate the surrounding area. 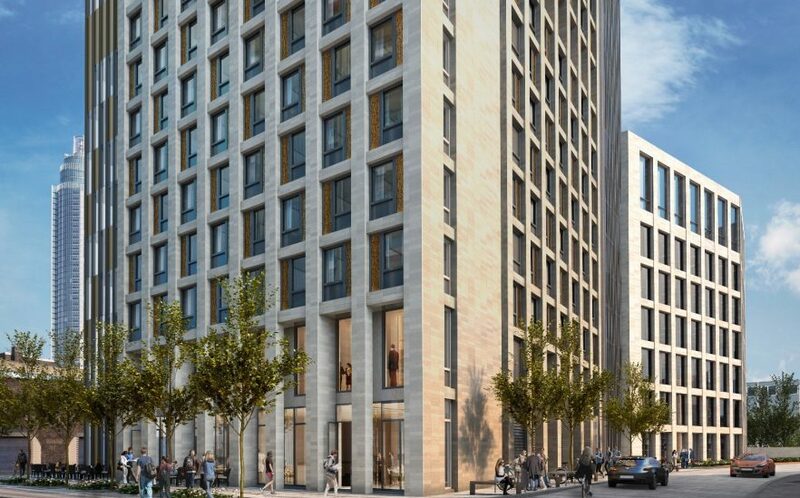 “This landmark development will offer high-quality, secure, comfortable student accommodation in the heart of one of the world’s most vibrant capital cities. The scheme is in a fantastic location, close to London’s social hotspots, and leading universities, with brilliant transport links just a few steps away. The scheme is Downing’s second in Vauxhall, the developer is also delivering the neighbouring Atlas development at 30-60 South Lambeth Road, due for completion in 2018. This scheme will bring a much-needed new public swimming pool and leisure facility to the area. Downing creates inspiring places to live and learn. We believe in providing the best accommodation in the best locations and we focus on delivering world-class, sustainable buildings for our students. We have 25 years’ experience of developing, building, managing and operating contemporary student housing. We believe in the positive contribution that student accommodation makes to our cities and we’re investing over £100m in Vauxhall to develop two new facilities. We also own and operate several hundred thousand sq ft of high quality commercial office space across the UK.